China Mobile has partnered 112 companies to develop new applications on 5G that should be available between 2018 and 2020 , the world’s biggest mobile carrier said yesterday. 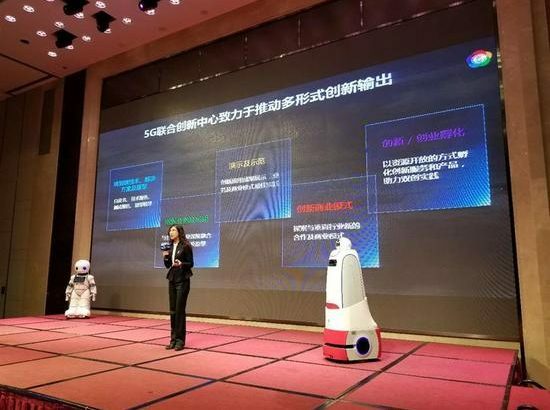 The latest apps cover drone, bike sharing, parking, wearable computing and robotics, and will be supported by high-speed 5G networks, said China Mobile which has more than 880 million users. The next generation 5G network is set to offer consumers an Internet access speed of 50 to 100 times and is expected to create a huge market valued at almost US$1 trillion in China by 2035, the telco said. By 2035, the “5G Economy” will create a market valued at US$12 trillion worldwide. China leads in all regions with an expected market value of US$984 billion, which will create 9.5 million jobs by 2035, said Qualcomm in a report conducted by several researchers. Top executives of the partners, including ZTE, Ericsson, iFlytek and Huawei, will speak during the annual China Mobile’s Partner Conference tomorrow, which is held in Guangzhou. Uncategorized 5G, Cell, Mobil Network, phone. permalink.